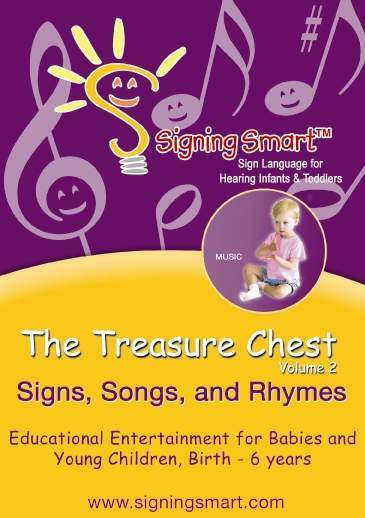 This Signing Smart paperback published by St. Martin's Press is for parents or caregivers to begin signing with their hearing infant or toddler, as well as for those seeking additional tools or activities. 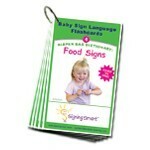 Photos of over 130 ASL signs and more than 70 fun interactive activities for the home or childcare setting. 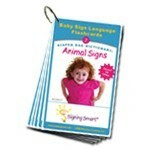 This paperback published by St. Martin's Press is developed for parents and caregivers interested are in learning how to begin using signs with their hearing infant or toddler, as well as those who have already started and are seeking additional tools and activities. Signing Smart is a research-based program that was developed by two Ph.D.-mommies to allow even the youngest of children to sign back quickly, and to develop extensive signed and spoken vocabularies from as early as 5 months. What's more, this program will grow with your child - you can start with your infant and still be Signing Smart into the preschool years! Through a step-by-step comprehensive plan to get started and the four simple Keys to Signing Smart Success, parents and caregivers are given all the tools and resources they need to easily and seamlessly integrate signs and Signing Smart strategies into life's everyday routines and play time. The book uses American Sign Language (ASL) signs and highlights a collection of more than 70 family-friendly activities created to engage children while simultaneously enhancing communication, facilitating intimacy, and promoting learning. These activities cover all aspects of life with infants and toddlers, from: diapering, dressing, mealtime, bath time, bedtime, floor time play, active play, to pretend play. 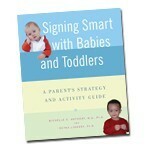 Signing Smart strategies, techniques, and developmental details are interspersed within the activities themselves, helping parents and caregivers see how signing can complement (as opposed to take over) their everyday interactions with their young children. Throughout the book, Drs. Anthony and Lindert teach you how to use ASL signs to develop spoken vocabulary, as well as how to use signs as a long-term learning tool. 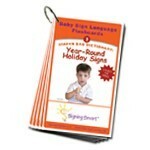 In addition, the book includes a comprehensive dictionary with photographs and descriptions of 130 family-friendly ASL signs, as well as numerous parent-child photos throughout, so readers can not only see how to implement the strategies, but also see likely child versions of the suggested signs. 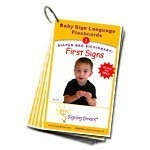 What better way to start or continue your baby sign language journey than with the fun activities and research-proven strategies in this at-home guide? !